You are Invited to Meet the Teacher night on Wednesday July 31, 2013 @ 4:30. 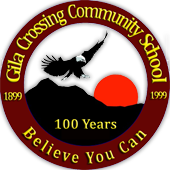 Gila Crossing Community School would like to introduce you to our Administration & Staff. Also there will be a Uniform sale & Refreshments served!